1968 Sunoco McLaren Can Am by Fisher Model & Pattern. 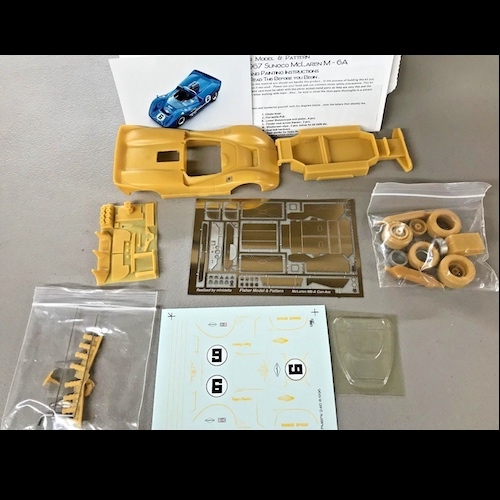 Beautiful, accurately shaped thin cast body work over a full photo-etched interior tub with p/e details right down to the throttle linkage and screw heads for the windscreen. Fully treaded tires and all the trimmings add up to a resin kit of great quality and potential. 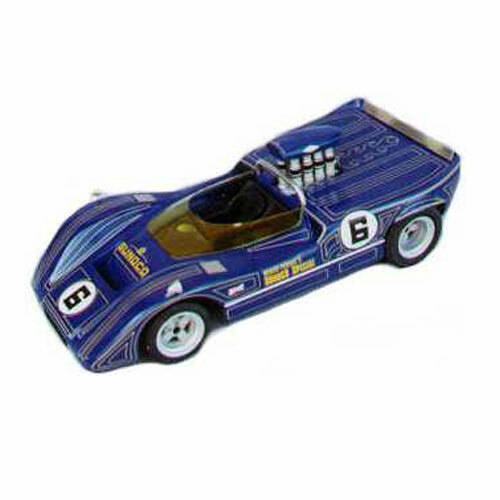 Complete marking instructions are included for the fine pinstripe decals , to allow you to capture that amazing Sunoco paint job.